Discover Jesus and find your tribe! We get the big questions you’re asking about life and God and we’re here to help you find your place in this world. YC is Youth Church – church for teens run by teens. It’s your place to discover the life changing message of Jesus through great music and speakers. And when you’re ready you too can learn new skills and use your gifts to serve our YC community. Join us for Friday Night Youth! 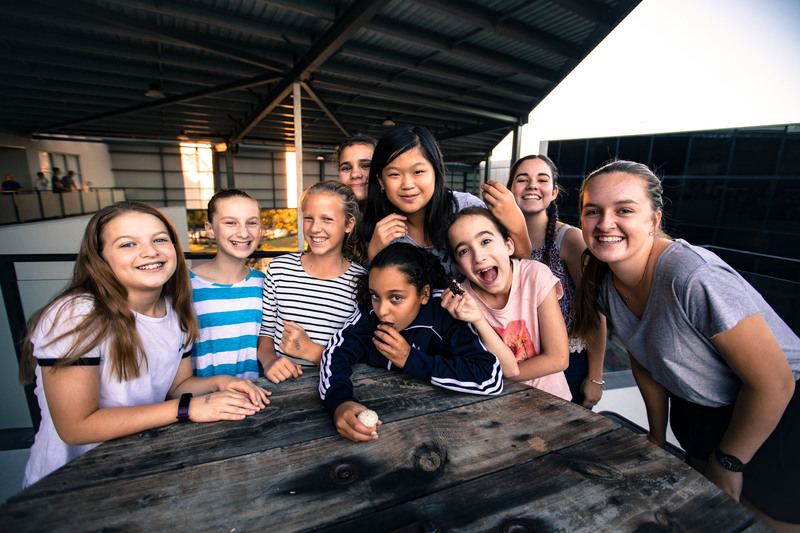 Each Friday night during school term we hang out together, have fun and build relationships with each other and Jesus. A leader will share a message, you’ll connect with a small group of teens your age, and have fun with awesome activities. We meet in The Loft at Gateway Mackenzie, 6.00pm – 8.45pm. Cost is $3 each week. Keep up to date here and on Facebook. First time to YC and FNY? FNY (Friday Night Youth) and YC (Youth Church) are held in The Loft, up the stairs at the front of the Kids and Youth Building at Gateway Mackenzie. FNY and YC registration is at the bottom of these stairs, near the entrance to Kidzone. FNY registration opens at 6pm. YC registration opens 10 minutes before our 8am and 10am services. Go to the registration area and look for a leader in a black shirt. They’ll help you register, answer any questions and introduce you to some other teens. When you sign up you’ll need to know one of your parent’s phone and email contact details.